Rovaniemi, the capital of Lapland in the Finnish arctic (and a popular venue for viewing the Northern Lights and meeting Santa) is also the start and finish point of an extraordinarily cold race in mid-February. 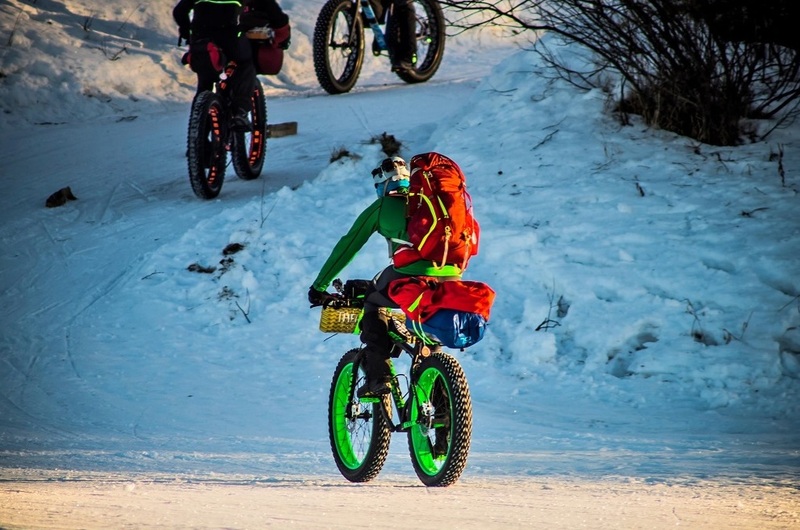 Following tracks, roads and forest roads (and crossing frozen rivers and lakes) over a choice of 66, 150 or 300 kilometres, participants compete on skis, on fat-bikes or on foot, and must carry their kit with them. The 300km course follows the route of the 150, then continues for several days on remote snowmobile tracks. Although trails are prepared in advance to create a hard-packed surface, the weather means conditions are nevertheless enormously variable: in 2012 the fastest fat-bike to complete the course took 31h 45m, a good three times longer than 2017’s winning time of 10h 24min. The tactic of struggling through with a lighter bag to save weight (as used in more temperate climes) is not an option in such cold conditions, and this is reflected in the race’s prescribed kit list. It is nevertheless a race, and finding a warm enough bag at a low weight is therefore still important. The Hispar 1000 (or the even lighter Hispar 1000K) or Xero 1000 would therefore be our suggestion. The Hispar wins for lightness; the Xero is a much roomier shape which will accommodate down clothing. In either case, such low temperatures mean that moisture leaving the body may freeze within the down, so a VBL should be considered too. TEMPERATURE RATING: Put simply, these are the temperatures at which you should be able to get a night's sleep in normal circumstances. For fuller details about the TOT rating see this Technical Briefing. LINERS: To maintain your sleeping bag's performance a Vapour Barrier Liner (VBL) should be considered. CLOTHING: Down clothing is an excellent way to improve insulation by layering up while asleep. The Xero 1000 is designed to fit over expedition down clothing; however to allow thicker clothing to achieve maximum loft, the Hispar 1000 would need to be sized up. DOWN OPTIONS: The Xero 1000 sleeping bag can also be filled with 950 fill power down. The same amount of down is put in but the enhanced fillpower increases the TOT. ZIPS: Full-length zips extend the use of these bags at different temperatures and altitudes. The full-length zip on the Xero bag has double down-filled baffles, replacing the down-filled gusset on the half-length zipped version. PACKED SIZE: PHD stuff sacs tend to be on the loose side. All these bags can be compressed further in your sac. The Yukon Jacket was created for racers in the Arctic, so is an obvious choice for those wanting to keep as light as possible on the Rovaniemi 150; should temperatures drop too far though, you’ll need to migrate into your sleeping bag. The Rondoy and the Hispar are warmer – the Hispar in particular was developed to be the lightest possible jacket for high mountain use so will deal well with the deep cold – but both are still ultra lightweight. All these jackets are also available in K-Series variants, using lighter fabrics and our unique 1000 fillpower down: this means a significant weight saving with no compromise on warmth. Race organisers also recommend mitts for extreme cold. Xero Mitts are extremely light, while Omega Mitts use tougher, waterproof fabric and taped seams. Polar Mitts are marginally heavier than Omegas, but their synthetic fill is an advantage in wetter conditions. Fleece trousers – such as our Taiga Trousers – are also recommended, but it’s worth considering the lighter option of down-filled trousers such as the Minimus Trousers. As well as being useful for evening camps, they can add a serious boost to your Sleep System. Don’t neglect your feet! Cold feet are a sure fire way to have a poor night’s sleep. As with the mitts: Xero Socks are exceptionally light, Omegas are tougher and have fully taped seams. Both are extremely useful for overnight stops. The next Rovaniemi 150 begins on 22nd February 2019.